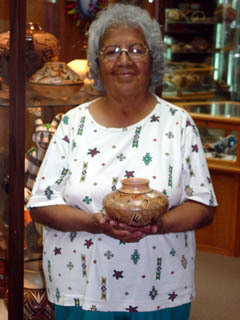 Tonita Hamilton Nampeyo is considered the true matriarch of the remaining Nampeyo family. 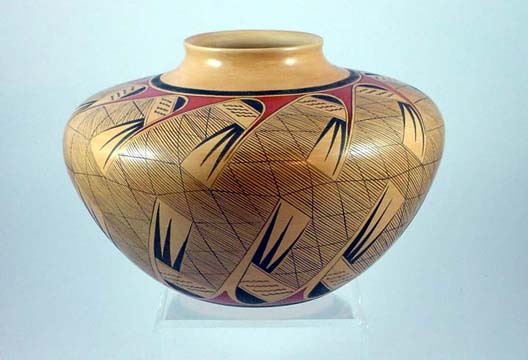 She is the eldest daughter of Fannie Nampeyo, and the granddaughter of the legendary Nampeyo who revitilized Hopi polychrome pottery at the turn of the last century. 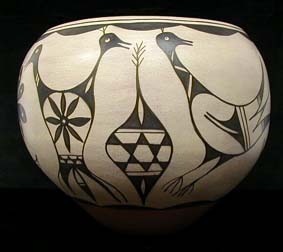 Tonita stays true to her traditional roots, preferring to do everything the "old way." 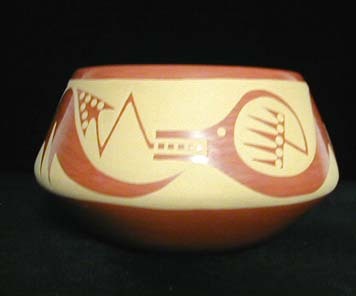 Her clay is still dug from deposits near her home. She still hand-coils and hand polishes every piece she does. 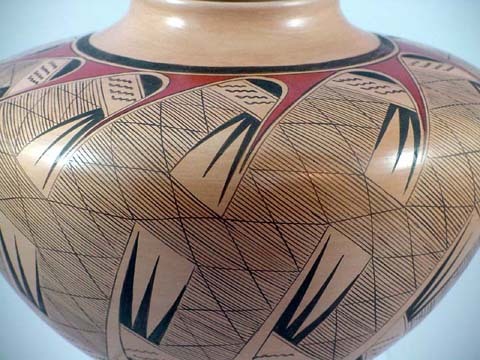 The traditional "migration pattern" design appears around this entire vase. 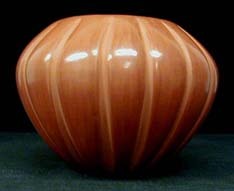 The rich orange and brown colors are achieved through a traditional process of pigmentation where natural vegetal and mineral dyes are used. 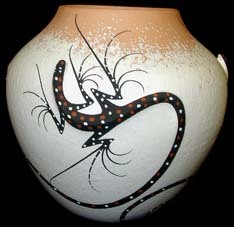 Tonita has traditionally fired this piece as well - as can be seen in the subtle shifts in color around the base of the pot. 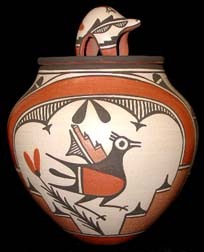 Tonita is world-renown and appears in nearly every publication dealing with Hopi pottery. 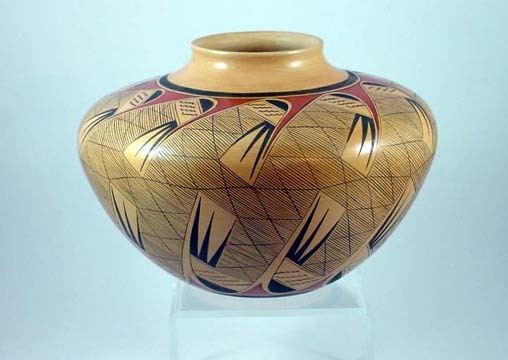 Her work has been exhibited in galleries and museums across the globe, and she has shown and placed at nearly every major venue throughout the Southwest. 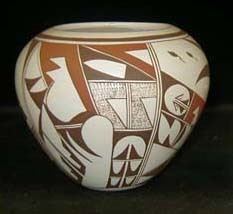 For more on Tonita's work, see Fourteen Families in Pueblo Pottery by Rick Dillingham, The Art of the Hopi by Jerry Jacka, and Hopi-Tewa Pottery: 500 Artists Biographies by Gregory Schaff, as well as many other books. 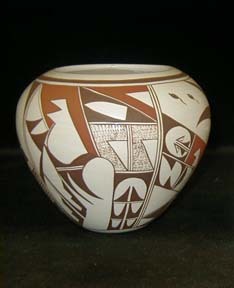 This is a very large pot measuring 7 1/2 inches tall by 10 1/2 inches wide.